Due to the high-stress, fast-food, antibiotic-happy modern culture, we have done quite a number on our probiotic population. In fact, whether its antibiotics or pasteurization, many people try to put up a shield against any and all kinds of bacteria, good and bad. While guarding against unfriendly bacteria isn’t a bad thing, it is vital to replenish the good bacteria in your system, both in your gut and on your skin. One of the easiest ways to achieve this balance is to add fermented foods and/or supplements to your diet. 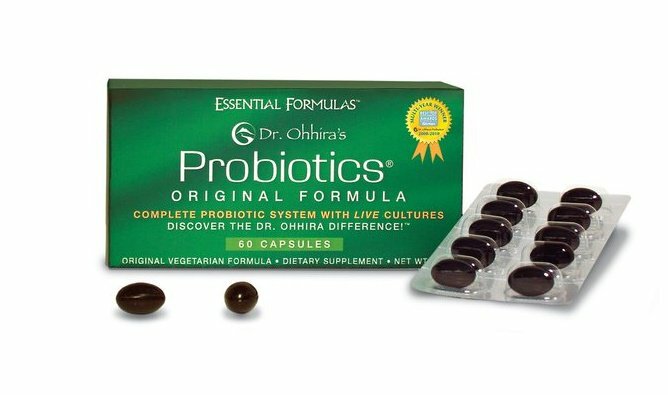 Dr. Ohhira’s Probiotics® are fermented for 3 years, allowing the strongest strains of good bacteria to survive and thrive in your system. The enzymes and organic acids from the probiotics have been known to improve digestion, which in turn helps your body absorb the other nutrients you are consuming. 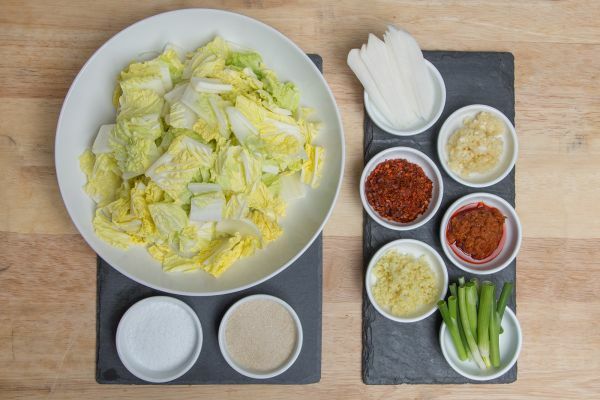 Aside from taking a fermented probiotic supplement like Dr. Ohhira’s Probiotics®, you can also make delicious fermented foods right in your own kitchen. 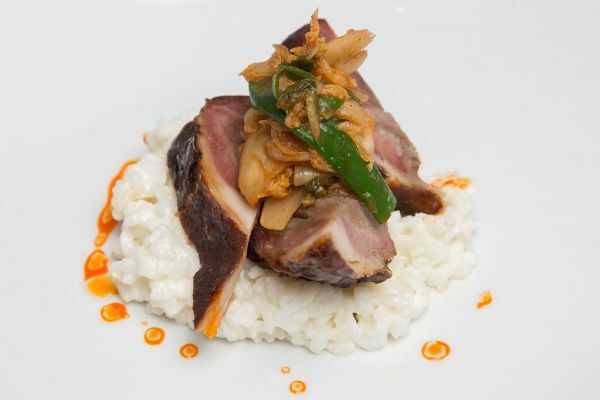 The following fermented food recipes are taken from chef Nick Lacasse of Pure Kitchen Catering. Bring water to a rolling boil. Remove from heat and stir in sugar until it dissolves completely. Add tea bags and steep until water is completely cool. Remove tea bags and transfer to a glass jar. Using a wooden or other non-metal spoon, stir in the starter tea. Gently transfer the scoby into the jar. Cover the jar mouth with cheesecloth and secure with twine. Store the jar in a dark place at room temperature for 7-10 days to allow it to ferment. Starting on day 7, try it daily until it reaches the balance of acidity that you prefer. Once your Kombucha has reached the balance of tart and sweet that you like, remove the scoby and one cup of Kombucha and transfer to a container. You can either make another batch, or store it in the refrigerator to stall fermentation for a future batch. 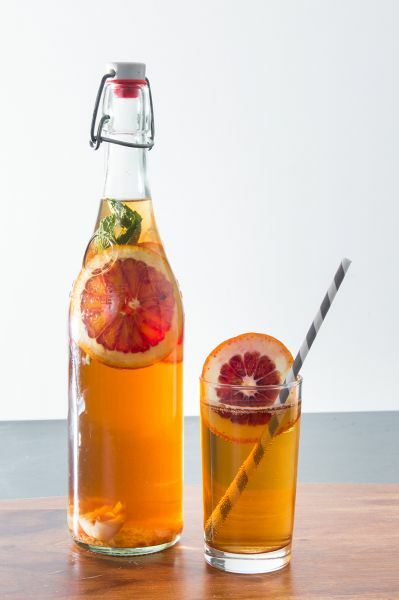 Pour remaining Kombucha into swing top bottles, adding chopped fruit, fruit juice, flavored tea, honey, herbs, or spices to flavor if desired. 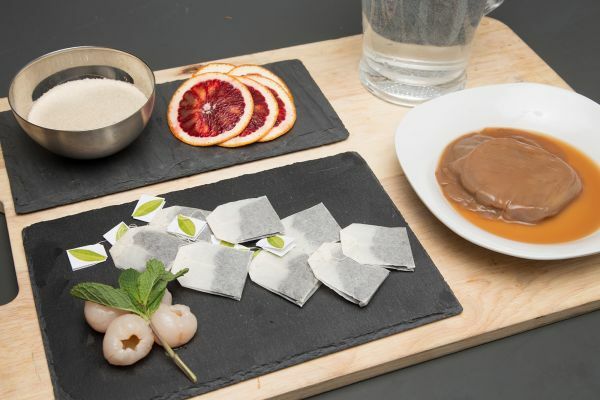 Try experimenting with lychee, blood orange, and mint. Be sure to leave a few inches of room at the top of your bottles, as it will expand as it carbonates. Store bottled Kombucha for 1-3 days in a dark place at room temperature to allow Kombucha to carbonate. Check daily to determine whether it has reached your desired level of carbonation. Rub the cabbage with the salt until fully coated and cover with water. Wrap tightly with plastic and let sit out at room temperature for 10-18 hours to soften the cabbage. Rinse the cabbage under cold water and strain, squeezing out excess moisture. Dress the cabbage with the remaining ingredients, mixing thoroughly. Separate the Kimichi into clean glass jars, and close the lids tightly. Let sit at room temperature for 24 hours. Unscrews lids to release gasses, then re-close and refrigerate. The Kimichi will develop more flavor over the course of the week, but can be eaten as soon as the first day of refrigeration. Whisk together cream and buttermilk and transfer to an airtight container. Leave at room temperature for 36-48 hours, depending on desired consistency. 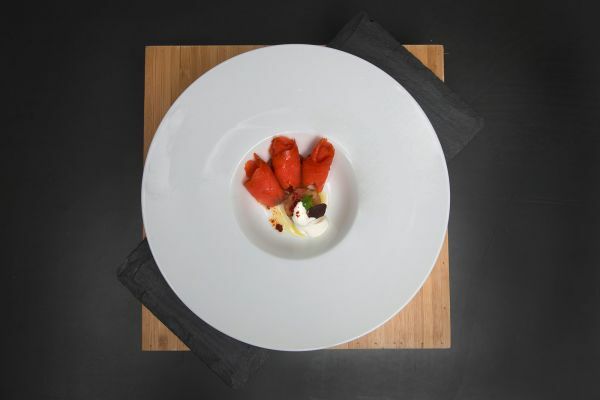 Letting go for 36-hours will provide a softer consistency similar to sour cream, whereas 48-hours will produce a firmer consistency comparable to mascarpone. Once desired texture is reached, transfer to a refrigerator to chill. Once chilled, season with salt, pepper, and your preferred flavorings. Try a pinch of fennel pollen, chopped fresh herbs, or minced preserved lemon. While all of these recipes look delicious and I am telling myself I will try them, I will probably stick to fermented probiotic supplements for now, since cooking boxed macaroni and cheese is an accomplishment for me these days!